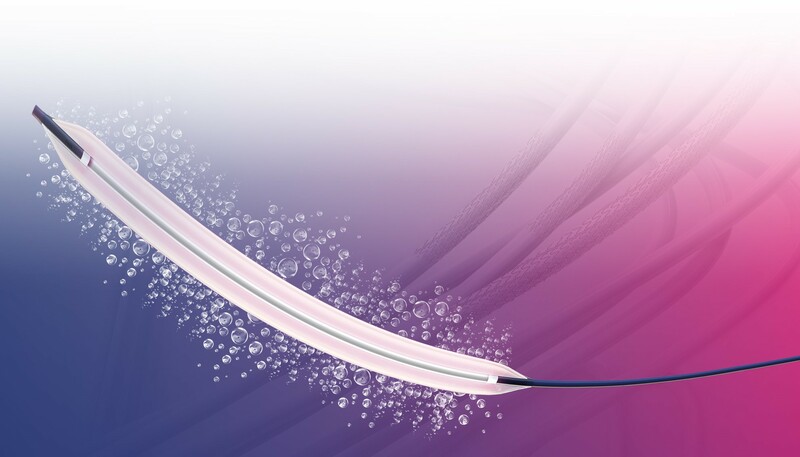 The Paclitaxel-eluting balloon “luminor”, in its versions for 0.014″, 0.018″ and 0.035″ guidewires, is a coaxial catheter designed for percutaneous transluminal angioplasties of peripheral arteries (iliac, femoral, popliteal and below-the-knee). The balloon is coated with an homogeneous mixture of Paclitaxel, a derivative of Taxol, and a physiologically innocuous matrix as excipient. The drug dose is 3 µg/mm2 and is intended to avoid cellular proliferation (restenosis), consequently decreasing re-intervention rate (TLR – Target Lesion Revascularization). The coating is applied using iVascular’s proprietary technology “Transfertech” based on a spray dosage system of drug nano-drops. The overall result is a thin multi-layer coating with micro-crystalline structure that enhances drug transfer to the arterial wall. Luminor Registry is an observational, prospective and multicentre study with single-arm treatment for native stenotic or occlusive lesions or in-stent stenosis of the femoro-poplietal (FP) and below the knee (BTK) vessels. The objective is to evaluate the performance of luminor drug-eluting balloons in terms of primary patency and freedom of serious adverse events. A maximum of 250 Rutherford 2-5 cases will be recruited following an intention to treat basis. Initial primary endpoints are encouraging, even in patients with highly severe ischemic status (Rutherford 5 in 57.3% of the cases). Interim and final results will be published in future reports. Data reported by F. Acín (Hospital Universitario de Getafe), M. de Blas (Hospital Universitario de Donostia), M. Alonso (Hospital Universitario Central Asturias), A. Giménez-Gaibar (Hospital Parc Taulí), V. Riambau (Hospital Clínic de Barcelona), representing LUMINOR registry collaborators.